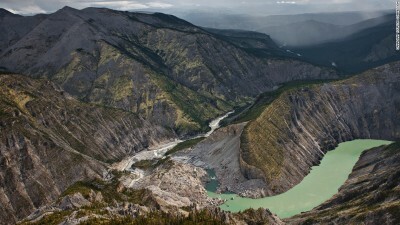 Nahanni National Park Reserve (Nah?a Dehé) is a UNESCO World Heritage Site globally renowned for its geologic landforms. An incomparable northern wilderness, Nah?a Dehé harbours sheer granite spires, vast alpine plateaus and, at its heart, the South Nahanni, a Canadian Heritage River. This great-spirit water thunders at Nájljcho (Virginia Falls) and has carved the deepest canyons in Canada. Natural labryinths of the North Nahanni Karst are among the most spectacular examples of this landform type and the Gahnîhthah mineral springs form Canada’s largest tufa mounds. The tufa mounds are home to the horizon walker, Yamba Deja, who created Dene law. Visitors are welcomed to the land by the Dehcho First Nations, whose ancestors have called Nah?a Dehé home since time before memory. Climbers, hikers, paddlers and visitors of all kinds find personal inspiration and connection to this rugged land and its people. Canada's most beautiful National Park. Pictures can not even describe the beauty. My Canadian place is this park, as it fulfills every possible characteristic of Canadian culture. If you have not had a chance to visit it, put it on your bucket list ASAP. Nahanni National Park Reserve in the Dehcho Region of the Northwest Territories, Canada, approximately 500 km (311 mi) west of Yellowknife, protects a portion of the Mackenzie Mountains Natural Region. 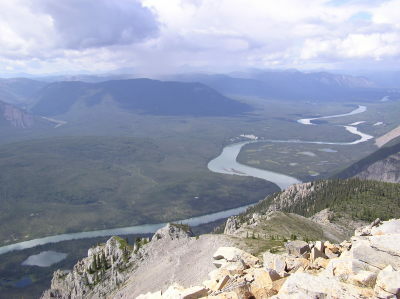 The centrepiece of the park is the South Nahanni River. There is a place where you can paddle your canoe for days and never see a trace of the concrete that has smothered so much of our beautiful planet's surface. In this place, time is not broken down into the tiny segments that fly by, demanding to be filled productively, and threatening to make you late for work. Time here passes only because the river is flowing and the season is changing. Even the sun doesn’t care that it is very late and it should have set hours ago. Here, on the Nahanni River, in the Northwest Territories, I am thankful that Canada still harbours these places that remind us of our deeply-rooted connection to the Earth. Here, a person is able to remember their place in this living, breathing system of interconnected parts, all swapping water molecules and carbon atoms. It was nine years ago now, and a great distance away, but this place has left a lasting impression on me. During the three weeks I spent in that beautiful wilderness, my dreams at night were so alive and vivid; nothing like I’ve experienced before or since. What does it mean about that place, I often wonder. What does it mean about the intangible connection between us humans and the Earth, and how we are hindering that connection with our lifestyles? I remember laying on my back next to a small stream with my dad and younger brother, looking up at the conifers towering over us. My dad talked about how this little stream had been flowing hour after hour, day after day, for so many years, and how these trees have stood there, just watching the clouds go past and the snow fall and then melt. All the time that I had been growing up, this spot had been there, sitting relatively still. As our plane had flown us west from Ontario, these trees had just stood. And as we launched our canoes upriver and began to paddle, they had waited. Even as the Nahanni swelled with floodwaters and the canoes overturned, and we struggled in panic and desperation, the trees remained in their seemingly-meditative state. And then we were there. And my dad pointed out that when it was time to get up and paddle away and continue our lives, pay our bills, and drive our cars, that spot would just continue to be. It was operating at the natural pace of our world. There, in a simplistic state of existence, that little stream is still trickling today, shaded by those spruce boughs. We have to remember that we are not separate from the processes of the Earth. We are part of them. We can take our cues from the tall, stationary organisms that have been here much longer than we have, and learn to live patiently instead of rushing forward. We can just be. And living in this country of beauty and wilderness gives us the opportunity to find little places that remind us of that when we need it. 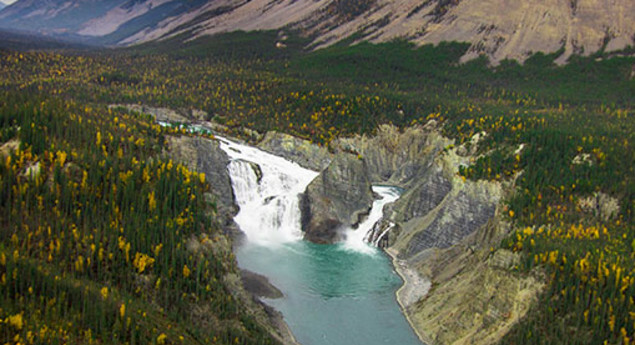 Dene peoples have occupied and lived in the region of Nahanni National Park Reserve for a long time. Evidence of the first human settlements in the area is estimated to be between _____ and _____ years ago. Canada\'s most beautiful National Park.